Retro 51 Tornado Popper Limited Edition Ballpoint Pen - only a few left! With the gift giving season upon us, iPenstore is full of ideas to help you bring creativity in the form of pens, paper, and inks to the people you love! These gifts are sure to bring joy long after they are opened. Pens, paper and ink ignite the spark of writing, journaling, and creating - we think that is one of the best gifts you can give! 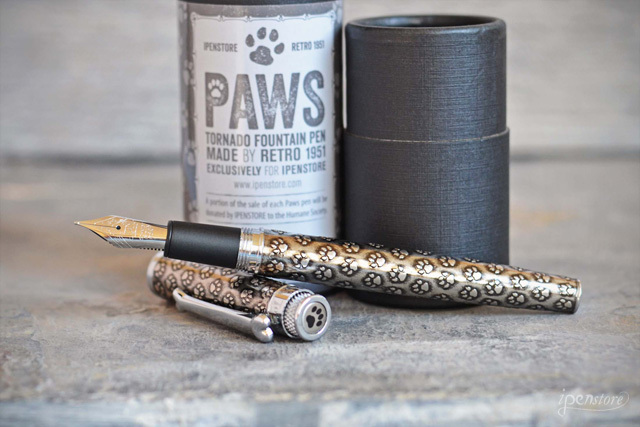 Retro 51 Dog Paws Fountain Pen ❆ Acid Etched Dog Paws Barrel in Stone washed Pewter, with a custom-designed clip in the shape of a dog bone. To complete the design, a paw print has been added to the top of the cap! Perfect for any dog lover in your life. 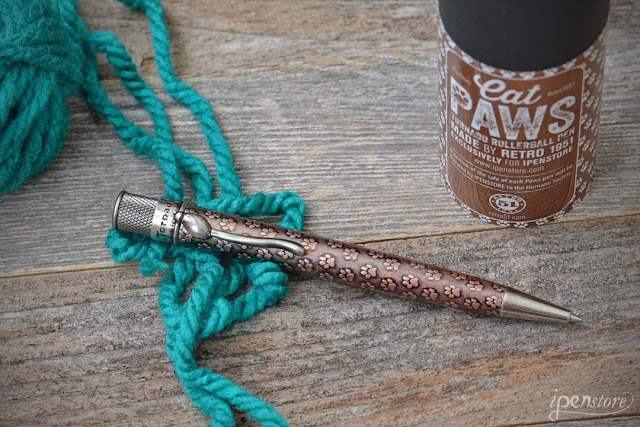 Retro 51 Cat Paws Rollerball Pen ❆ Acid-etched Cat Paws Barrel in Antique Copper- the custom-designed clip is in the shape of a cat with a long tail. To complete the design, a paw print has been added to the top of the cap! 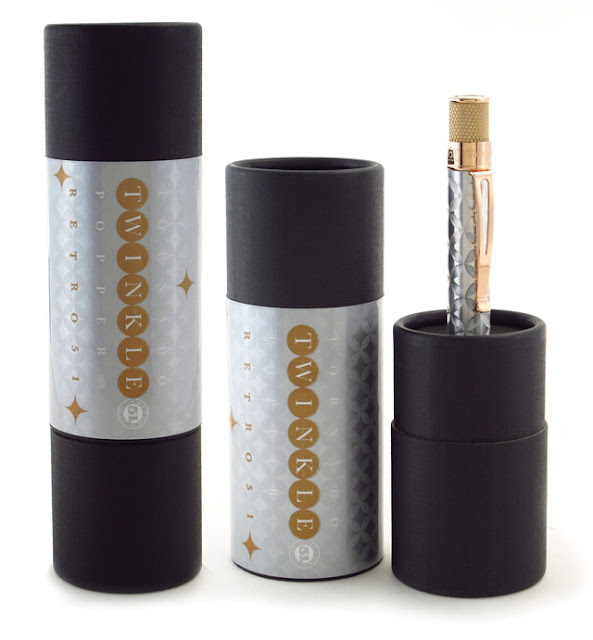 Retro 51 Tornado Popper Twinkle ❆ Limited Production POP Series twist action pen, "Twinkle." The diamond cut aluminum barrel has been designed to reveal stars that reflect the light in a most elegant way. As you write, the light refracts off the engraved stars giving the barrel a sparkling appearance. Finished with rose gold accents that have been numbered on the top ring and packaged in a matching gift tube. 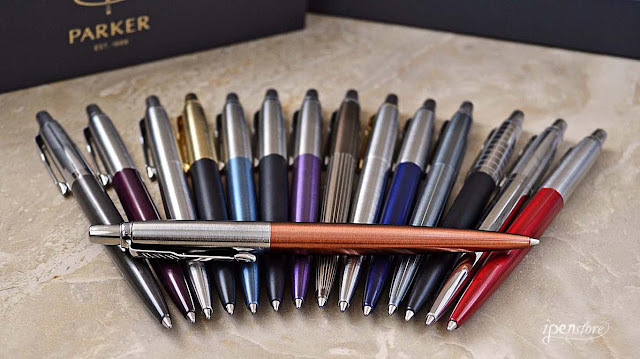 Parker Jotter 2016 Ballpoint Pen ❆ The Parker Jotter, first introduced in 1954, is one of the best selling pens in history. over 750 million have been sold worldwide. New 2016 models have been upgraded to all metal construction. Each pen comes in a Parker gift box. 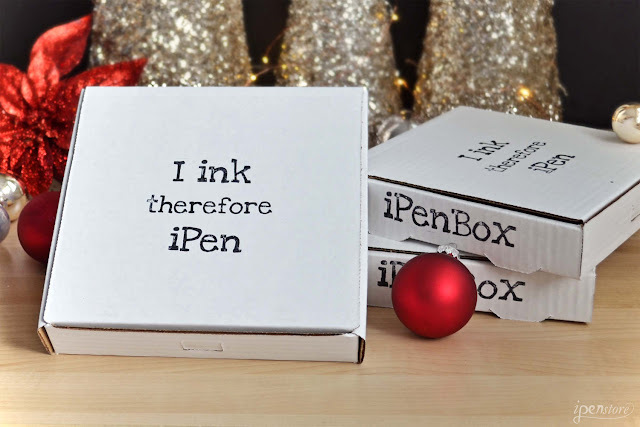 iPenBox ❆ iPenBox is a curated subscription box for the pen, paper, and ink enthusiast, delivering a montly box of products to your door. Each month we hand pick 5- 10 items around a monthly theme. Each box typically includes a fountain pen, notebook, ink sample, and other pen, paper, and ink items. 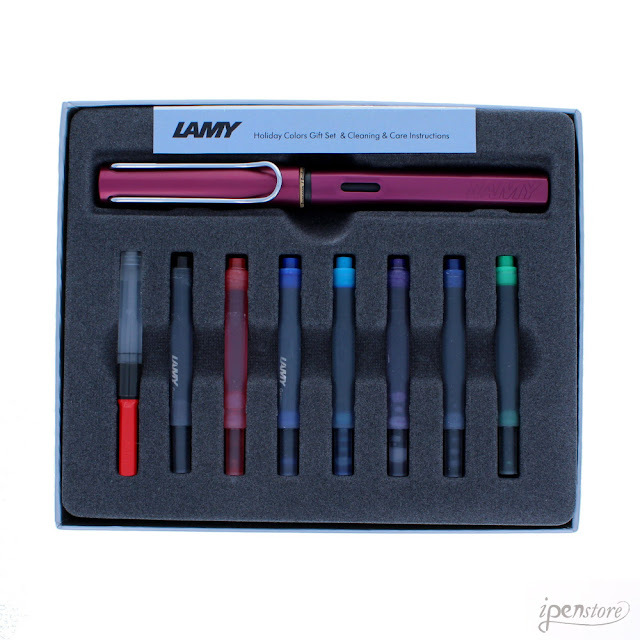 Lamy Gift Set ❆ Lamy AL-Star or Lamy Safari Gift Sets include a fountain pen, converter for bottled ink, and 7 colors of Lamy ink cartridges- all in one special gift box! 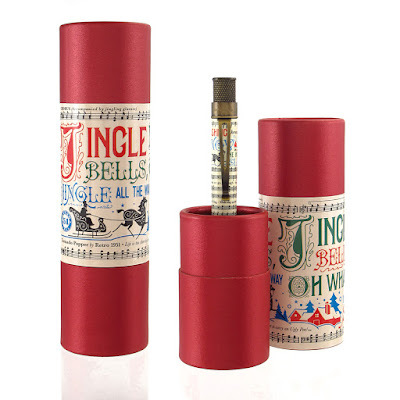 For the past few years, Lamy has packaged their best selling fountain pens into holiday gift sets. The Safari colors are Red, White, or Blue and the Al-Star sets are available in Ocean Blue or Purple. 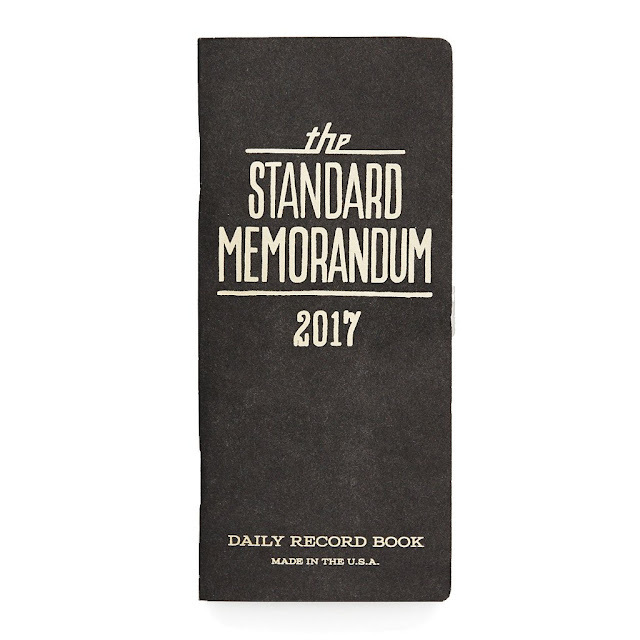 2017 Standard Memorandum Word. Notebook ❆ A great pocket-sized journal that will chronicle a year of your life. Simply jot down a line or two every day for a year, and you'll be left with a memento you can save or pass down. 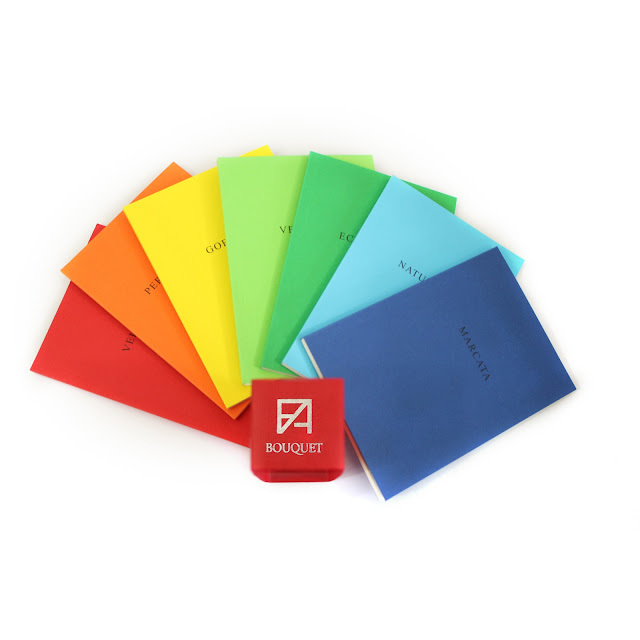 Fabriano Bouquet Notebooks ❆ Bouquet is a set of 7 note pads by Fabriano. Each notepad has different premium paper types and different colored covers (like a bouquet of flowers). The 7 notebooks inner papers are: felt marked, embossed, parchment, vellum, laid, ecological, and natural. The weights vary from 85 50 100 gsm and all have plain pages. Each pad has 40 sheets and the notebooks measure 4" x 5.5". 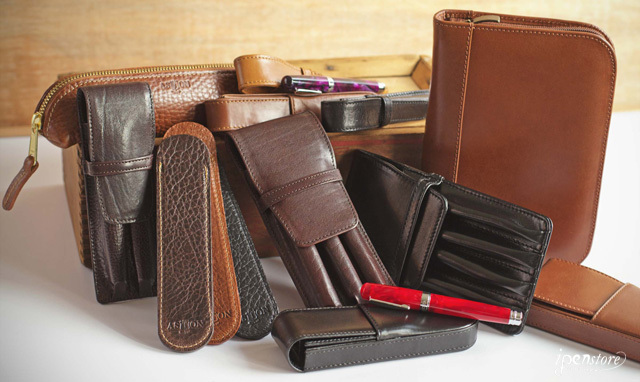 Aston American Cowhide Leather ❆ American cowhide leather pen cases, pouches and slips. Premium quality full- grain hides which are then finished with natural vegetal oils to result in a leather with a soft hand and visible grain patters. These cases become more beautiful with age. Platinum Cool Fountain Pen ❆ Transparent resin body and cap with chrome plated trims. Even the feed is transparent!The stainless steel nib is moderately flexible. Innovative "slip seal" cap keeps the pen from drying out. 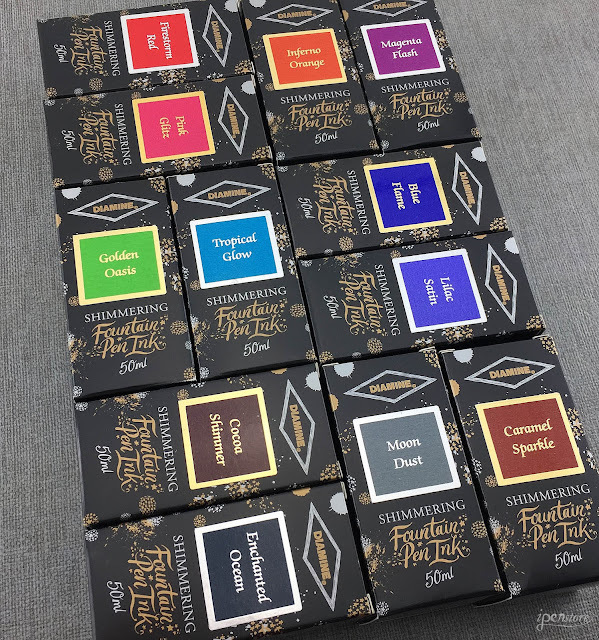 Diamine Shimmering Fountain Pen Ink ❆ Brand new from the UK- Diamine just released 12 new colors of shimmering fountain pen ink! 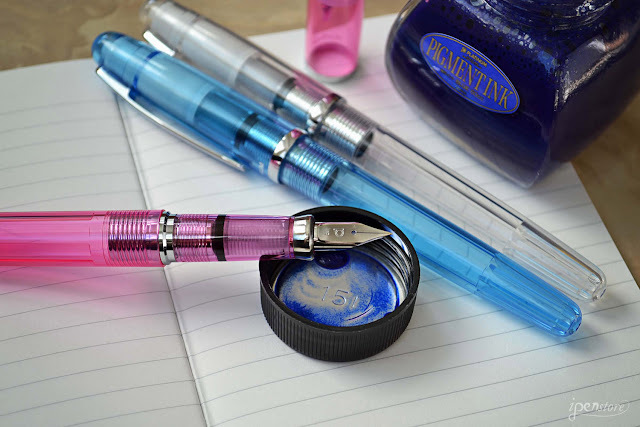 All Diamine inks are water based, fast drying, non-toxic, pH neutral, light fast, and flow smoothly. Diamine uses all natural dyes and has been produced in the UK since 1864.